Photograph of a painting by Cal Peters depicting construction of the first Fort Crawford at Prairie du Chien, Wisconsin in 1816. 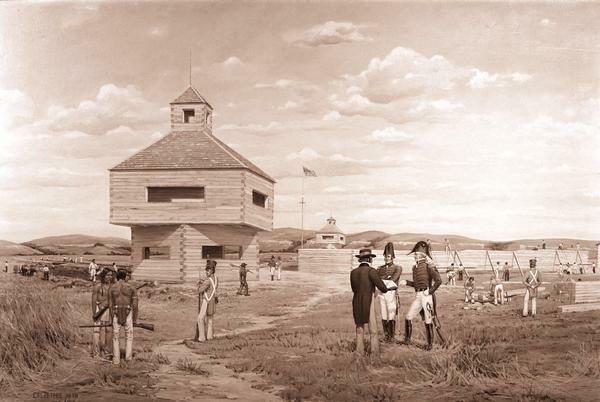 In the painting, several officers converse with a civilian and two Native Americans watch as soldiers construct a palisade wall and guard towers. During the 1940s, Cal Peters painted a variety of historical scenes depicting the early history of Prairie du Chien, Wisconsin.